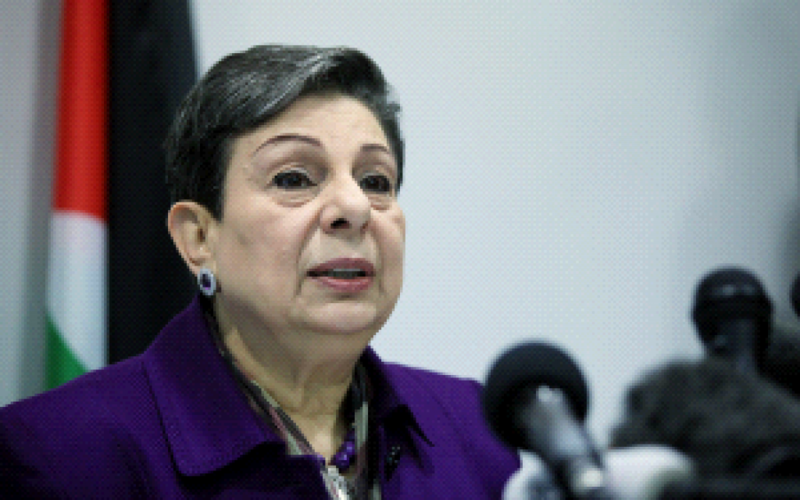 Senior Palestinian officials are reacting with outrage after the White House froze tens of millions of dollars in contributions to a UN agency tasked with providing aid to Palestinian refugees, a move they are decrying as cruel and blatantly biased. Palestinian officials are also accusing Trump of chipping away at issues long considered up for negotiation as part of a comprehensive resolution to the Israeli-Palestinian conflict, including the status of Jerusalem and the plight of refugees and their descendants. This afternoon, around 500 Palestinians are protesting against the freeze in the Gaza Strip. Prime Minister Ahmed Obeid bin Daghir had called on the kingdom and its allies to act “now, not tomorrow,” and said saving the Yemeni rial means “saving Yemenis from inevitable famine.” In his letter, he said Yemen needed a bailout. For nearly three years, a Saudi-led coalition backed by the United States has been carrying out airstrikes in Yemen against Iranian-allied rebels, known as Houthis, after the rebels overran the capital of Sanaa and forced Yemen’s government into exile. The war has killed more than 10,000 civilians, displaced some 2 million people and pushed millions to the brink of famine. The United Nations calls Yemen the world’s worst humanitarian crisis. The parents of a 19-year-old University of Pennsylvania student killed and buried in a California park say the killing may have been a hate crime against their gay son. Bernstein was stabbed more than 20 times and buried in a shallow grave at the park, the Register and the Los Angeles Times reported earlier this week. German authorities reject a former Auschwitz death camp guard’s bid for clemency, removing the final barrier to him serving his sentence for accessory to murder. Lueneburg prosecutors’ spokeswoman Wiebke Bethke says her office had rejected former SS sergeant Oskar Groening’s clemency request filed earlier this week. She said regulations prevented her from releasing any further details. 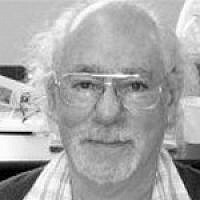 The 96-year-old was convicted in Lueneburg in’ 2015 as an accessory to the murder of 300,000 Jews and sentenced to four years in prison. He hasn’t yet spent any time behind bars because of the appeals process. Germany’s highest court rejected his last legal appeal in December. Hannover prosecutors, who have been handling his case, are expected to soon summon him to begin serving his sentence. 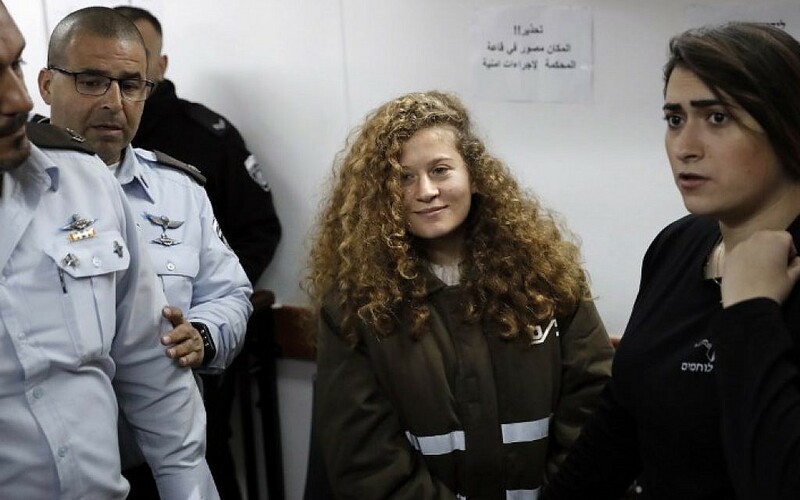 A 16-year-old Palestinian girl facing assault charges for slapping an IDF soldier in the West Bank last month is denied bail, and will remain behind bars until the legal proceedings against her are over. The decision is handed down by the Ofer Military Prison near the Palestinian city of Ramallah. International human rights groups have criticized Israel for detaining the teenager over the December 15 encounter in Nabi Saleh. Police this afternoon threw out a group of Jews visiting the Temple Mount in Jerusalem. The group of 40 visitors were kicked out for praying at the site, which is banned under the current status quo governing the Temple Mount. Prime Minister Netanyahu says he is proud of Israel’s first-ever female to be appointed squadron leader in the air force. “I am proud that we have a female pilot commanding an air force squadron,” the prime minister says during his trip to India. Ethiopian Prime Minister Hailemariam Desalegn arrives in Cairo for a two-day visit to discuss a massive dam that Egypt fears will cut into its share of the Nile. Egypt’s Foreign Ministry announced today’s visit in a statement that only made passing mention of the dam among other issues. It said Desalegn would meet with Egyptian President Abdel-Fattah el-Sissi, and that the two countries’ foreign ministers had held talks ahead of the visit. Egypt has expressed mounting alarm over the soon-to-be-completed upstream dam. The Nile provides nearly all the freshwater for the country’s 95 million people. Ethiopia, with roughly the same population, has downplayed those fears, insisting the dam is essential to its economic development. Sissi is expected to meet Desalegn tomorrow. A massive arms deal with India is back on, Prime Minister Benjamin Netanyahu tells reporters who are accompanying him on his weeklong trip to the country. Israel’s Rafael was set to sell half a billion dollars worth of Spike missiles to India, but a few days before Netanyahu took off for Delhi Sunday morning the deal was cancelled. 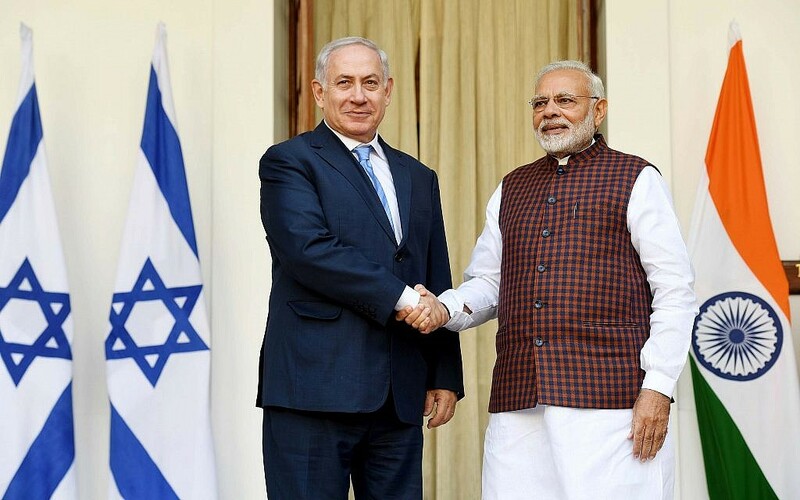 Netanyahu says the deal succeeded in getting Delhi to reauthorize the deal, though the exact parameters of the transactions are currently unclear. The two Koreas agree to march together under a single flag at the Winter Olympics opening ceremony and field a united women’s ice hockey team for the Games in a further sign of easing tensions on the peninsula. North Korea also says it would send a 550-member delegation to the Winter Olympics and Paralympics in the South, Seoul says, as the two sides met to discuss athlete numbers in the latest in a flurry of cross-border talks. Nuclear-armed Pyongyang agreed last week to take part in next month’s Pyeongchang Games which are taking place just 80 kilometers (50 miles) south of the Demilitarized Zone (DMZ) that divides the peninsula. Seoul has long sought to proclaim the event a “peace Olympics” in the face of tensions over the North’s weapons programs — which have seen it subjected to multiple UN Security Council sanctions — and the discussions represent a marked improvement. The two Koreas will march together under a pro-unification flag at the opening ceremony for the February 9-25 Games, according to a press statement issued by the South. 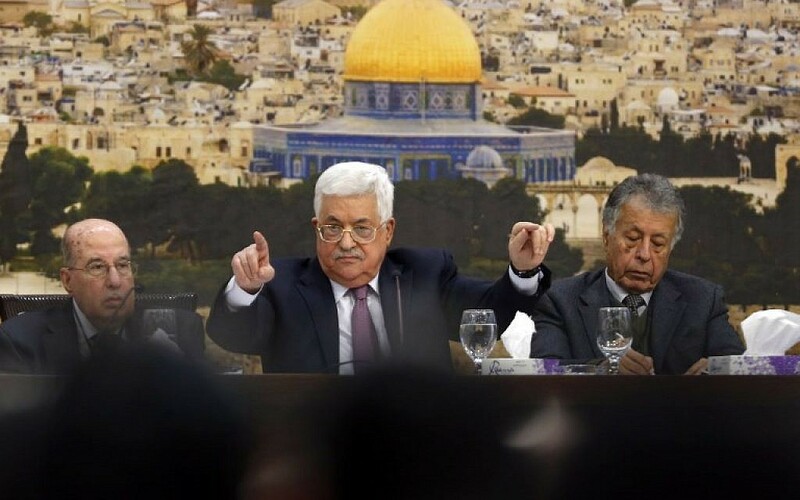 The PA’s Ministry of Foreign Affairs slams the US for slashing aid to Palestinian refugee programs, saying US President Donald Trump’s approach to the peace process disregards the Palestinians, and won’t compel them to embrace American policies. Defense Minister Avigdor Liberman says he supports the court decision to remand Ahed Tamimi in custody until the end of the legal proceedings against her. Tamimi, 16, is facing assault charges for slapping an IDF soldier last month in the West Bank village of Nabi Saleh. Former White House chief strategist Steve Bannon has refused to answer a broad array of queries from the House Intelligence Committee about his time working for US President Donald Trump, leading the committee chairman to authorize a subpoena. The developments bring to the forefront questions about White House efforts to control what Bannon tells Congress about his time in Trump’s inner circle, and whether Republicans on Capitol Hill would force the issue. Bannon would be the highest-ranking person who served in the Trump White House to be called before the grand jury. The move doesn’t confirm that Mueller is presenting evidence to support future criminal charges. But it does show that Mueller is actively using the grand jury as he examines the actions of Trump, his family and his staff during the campaign, the presidential transition and the early months of the administration. Yehoshua Elitzur, who fled the country after being sentenced to 20 years in prison for murdering a Palestinian taxi driver in 2004, is extradited to Israel. The Brazilian Supreme Court agreed to extradite Elitzur in August least year following a 15-year manhunt. The UN agency that serves Palestinian refugees and their descendants says it is launching a global fundraising appeal in hopes of making up for funding cuts announced by the United States. The US provides roughly one-third of UNRWA’s budget, and the agency has warned that it now faces the “most dramatic financial crisis” in its nearly 70-year history. The agency provides health care, education and social services to 5 million Palestinians across the Middle East. Earlier, UNRWA’s secretary-general, Pierre Krähenbühl, said the fundraising appeal would begin in the coming days. The agency said it is too soon to say which countries will be approached to fill the void or what services are at risk. Warsaw played down a row with Germany over its demand for World War II reparations, with Poland’s foreign minister saying the issue should not hinder good relations between neighbors. “At the moment, there is no question of it becoming an obstacle standing between the relationship of our two countries,” said Jacek Czaputowicz, in his first visit to Berlin since he was appointed Poland’s foreign minister in a reshuffle last week. Poland’s right-wing government ruffled feathers in Berlin when it revived in July the issue of reparations — an issue that for years had been considered settled. Germany has firmly rejected Poland’s claims, pointing to a 1953 decision by the country’s then communist regime to relinquish demands for compensation. But Poland’s nationalist Law and Justice (PiS) government disputes the validity of Warsaw’s 1953 deal, arguing that it was made under the diktat of the Soviet Union. A former high school classmate of the University of Pennsylvania student found stabbed and buried in a Southern California park is charged with his murder, according to a criminal complaint. 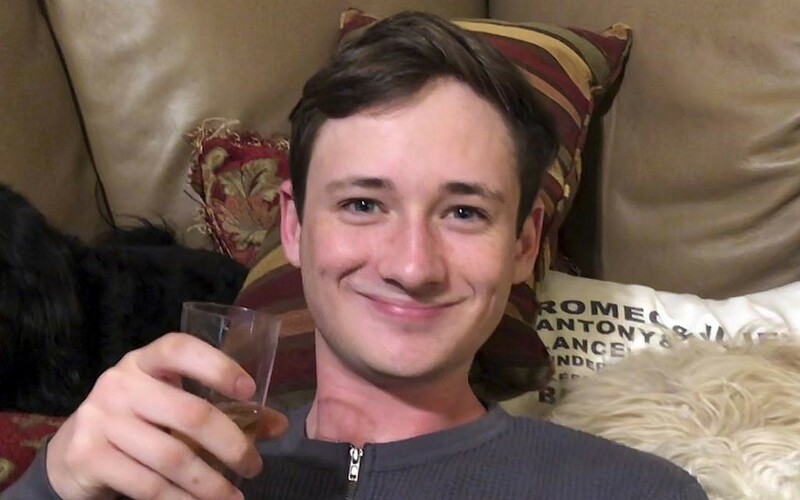 Samuel Woodward, 20, killed 19-year-old Blaze Bernstein with a knife, the complaint says, while Bernstein was visiting his parents on college’s winter break. Orange County prosecutors also filed a so-called enhancement which would allow them to seek more jail time for Woodward if he is convicted. Authorities have said Bernstein went to the park with Woodward on Jan. 2. His body was found in a shallow grave at the park a week later. Orange County District Attorney Tony Rackauckus was scheduled to discuss the case with reporters Wednesday morning. A Bulgarian court opens the trial of two men charged with terrorism for their alleged involvement in a 2012 suicide bombing that killed five Israeli tourists and their bus driver and injured 35. A Polish court jails the organizers of an anti-war stunt that saw a dozen people strip naked last year at the former German Nazi death camp Auschwitz-Birkenau before one of them slaughtered a lamb. The court in the southern city of Oswiecim found Belarussians Adam B. and Mikita V. guilty of desecrating a memorial site and of animal cruelty and handed them prison sentences of a year and a half and 14 months, respectively. “Auschwitz is a memorial site, a symbol of martyrdom and a cemetery for thousands of human beings,” says prosecutor Mariusz Slomka. Most of the 10 other defendants, aged 20 to 27, are sentenced to community service while one received a fine of 10,000 zloty (2,400 euros or $3,000). The group carried out the unprecedented stunt in March 2017 in front of the camp’s infamous “Arbeit macht frei” (“Work makes you free”) gate, where they draped a white banner with the word love written in red. 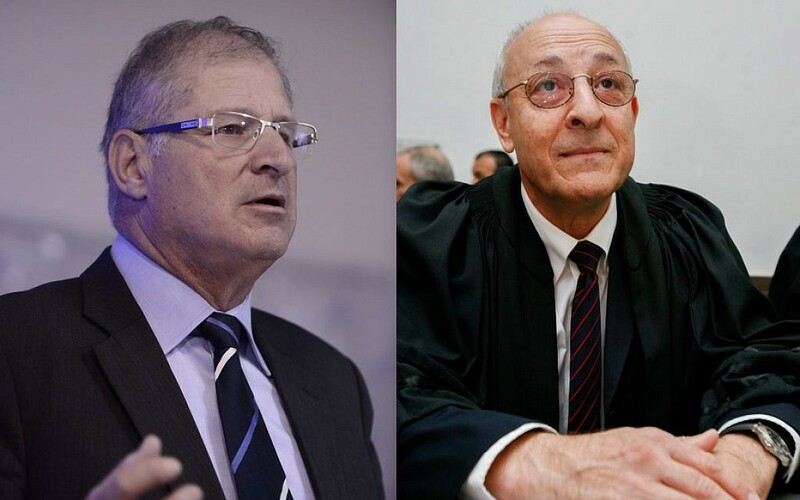 Police will recommend indictments against the five main suspects in Case 3000, including two close advisers to Prime Minister Benjamin Netanyahu — David Shimron and Yitzhak Molcho — and the premier’s former chief of staff, David Sharan, Hadashot news reports. The recommendations will come in the coming weeks, the TV report says. Netanyahu is not a suspect in the case. 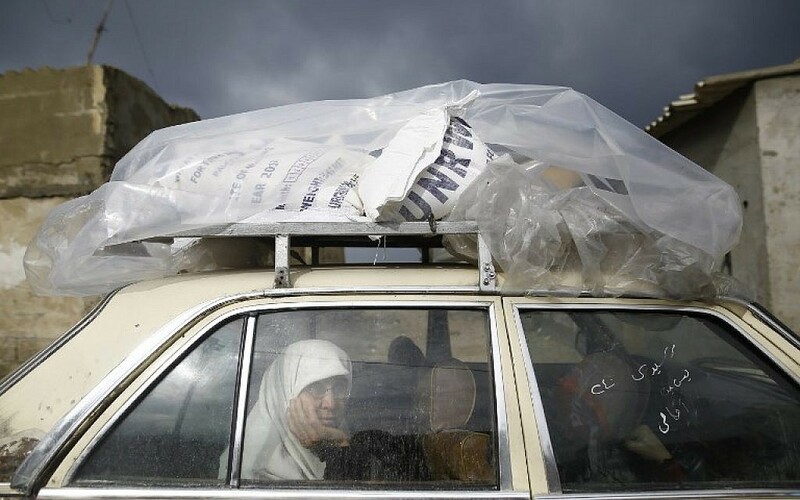 Belgium has stepped in to help out the UN agency assisting Palestinian refugees with an immediate disbursement of $23 million after the Trump administration suspended $65 million in aid for the international organization. Israel is reportedly concerned that PA President Mahmoud Abbas’s response to US President Donald Trump’s declaration of Jerusalem as the capital of Israel will spark further unrest in the Wast Bank and Gaza Strip. Abbas, who has openly cursed Trump over his policies, told a conference in Egypt earlier today that the United States has disqualified itself from continuing as a broker in the long-stalled Israeli-Palestinian peace process, a role America has had for decades. Germany’s Jewish community says raids against suspected Iranian agents show Berlin needs to take a tougher line toward Tehran. German authorities have searched premises linked to 10 people suspected of conducting espionage activity on behalf of Iranian intelligence. Prosecutors, however, have refused to confirm reports the suspects are linked to the elite Quds Force of Iran’s Revolutionary Guard, responsible for operations outside Iran. The Central Council of Jews says that if the suspects are scouting Jewish and Israeli targets in Germany “this mustn’t be left unpunished.” Its president, Josef Schuster, says Germany shouldn’t put economic ties with Iran before the need to protect its own citizens. Federal prosecutors says no arrests had been made yet in their investigation, which followed a tip from Germany’s domestic intelligence agency. 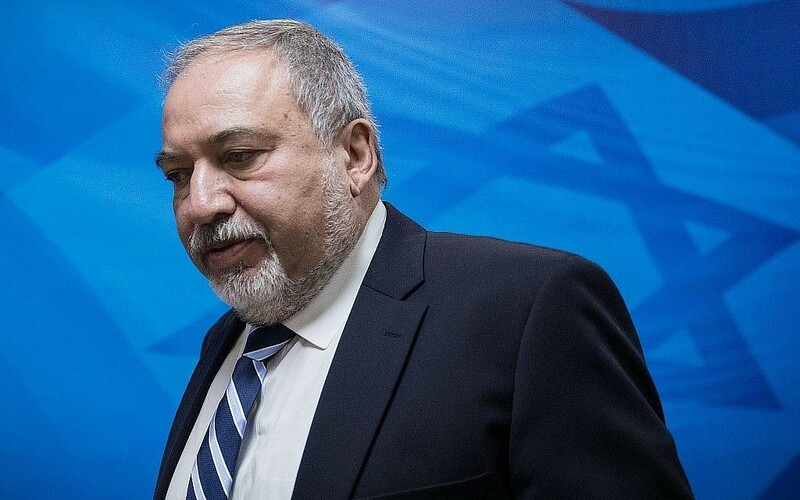 Defense Minister Avigdor Liberman reprimands his own deputy after a recording of Eli Ben Dahan bragging about a small ministry team responsible for legalizing West Bank outposts was leaked to the press. The defense minister also banned his deputy from any involvement in future dealings with the legalization of West Bank outposts. Supporters of a rights lawyer who hopes to run in Egypt’s presidential election in May say bureaucrats loyal to the government are obstructing their efforts to get him on the ballot. The complaints aired today suggest Khaled Ali is struggling to secure the 25,000 signatures necessary to challenge President Abdel-Fattah el-Sissi, who is widely expected to run for and win a second four-year term. Alternatively, a presidential hopeful could secure the backing of 20 elected lawmakers. But the overwhelming majority of the chamber’s 596 members already have pledged their support to el-Sissi, who has yet to formally announce his candidacy. In an unusual move, police have denied a Hadashot news report that its investigators are set to recommend indictments against the five main suspects in Case 3000. 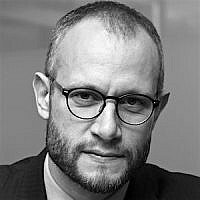 Earlier, Hadashot reported that police in the coming weeks are set to recommend that the suspects — which include two close advisers to Prime Minister Benjamin Netanyahu, David Shimron and Yitzhak Molcho — face criminal charges for their roles in the illegal purchases of submarines from a German shipbuilder.